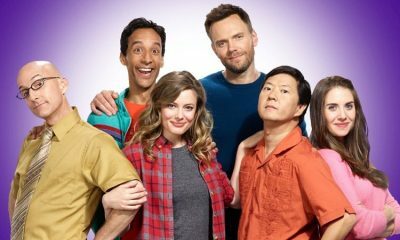 Yahoo (Nasdaq: YHOO) and Sony Pictures Television today announced that “Community” will return this Fall for a highly-anticipated sixth season, with 13 new episodes available exclusively on Yahoo Screen. At the center of the group is Jeff Winger (Joel McHale, “The Soup”), a fast-talking lawyer who was dis-barred until he could earn a legitimate degree. He chose Greendale, thinking he could breeze through the mediocre school without a hitch. However, he soon found himself the reluctant leader of a disparate group of misfits, all stuck at Greendale for different reasons. The study group includes Britta Perry (Gillian Jacobs), who dropped out of high school to “change the world” and soon found herself in her thirties with no marketable skills; Shirley Bennett (Yvette Nicole Brown), a religious housewife who landed at Greendale after a messy divorce and is now blossoming into a headstrong entrepreneur; Abed Nadir (Danny Pudi), a socially awkward, but well-meaning, pop culture savant; Annie Edison (Alison Brie), a high-strung perfectionist; and, Ben Chang (Ken Jeong ), a former Spanish teacher who is either insane or an evil genius, or both. At Greendale’s helm is Dean Pelton (Jim Rash), an administrator whose ineptitude is matched only by his love of the school and his devotion to his students. Dan Harmon created “Community” and serves as executive producer. Russ Krasnoff (“The Soloist”) also serves as executive producer, along with Gary Foster (“Sleepless in Seattle”) and Chris McKenna (“The Mindy Project”). “Yahoo is all about connecting the best creators to the audiences who love their work. ‘Community’ has an incredibly passionate and loyal fan base who have fought hard to keep this amazing show alive. We couldn’t be more excited to work with Dan, Joel, and the entire cast, as well as Sony, to deliver a great season 6.” said Kathy Savitt, CMO of Yahoo. “The fans spoke and we listened. 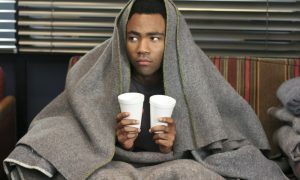 Thanks to Yahoo, and the amazing team that makes ‘Community’ great, we’ve avoided the Darkest Timeline yet again and plan to deliver a fantastic season,” said Zack Van Amburg, president of programming and production for SPT. The series is a Krasnoff-Foster Entertainment and Harmonious Claptrap production, in association with Universal Television and Sony Pictures Television.